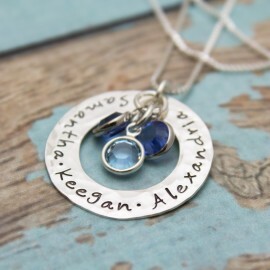 The perfect necklace for a mother or grandmother. 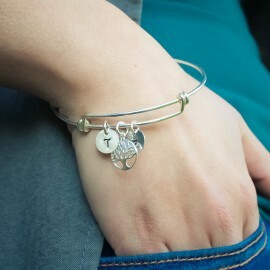 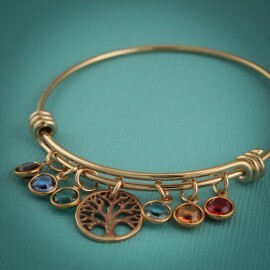 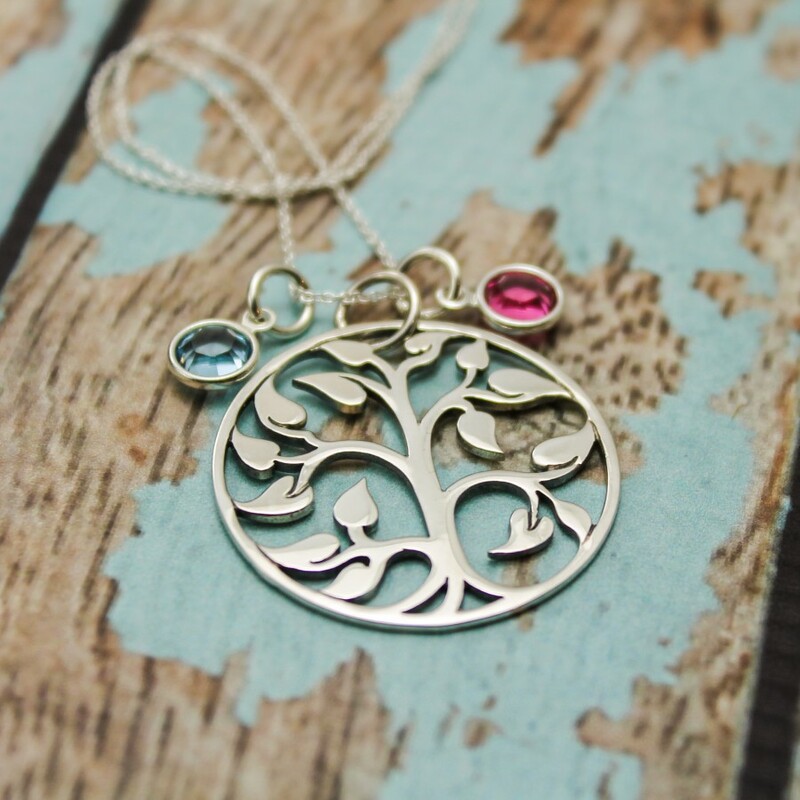 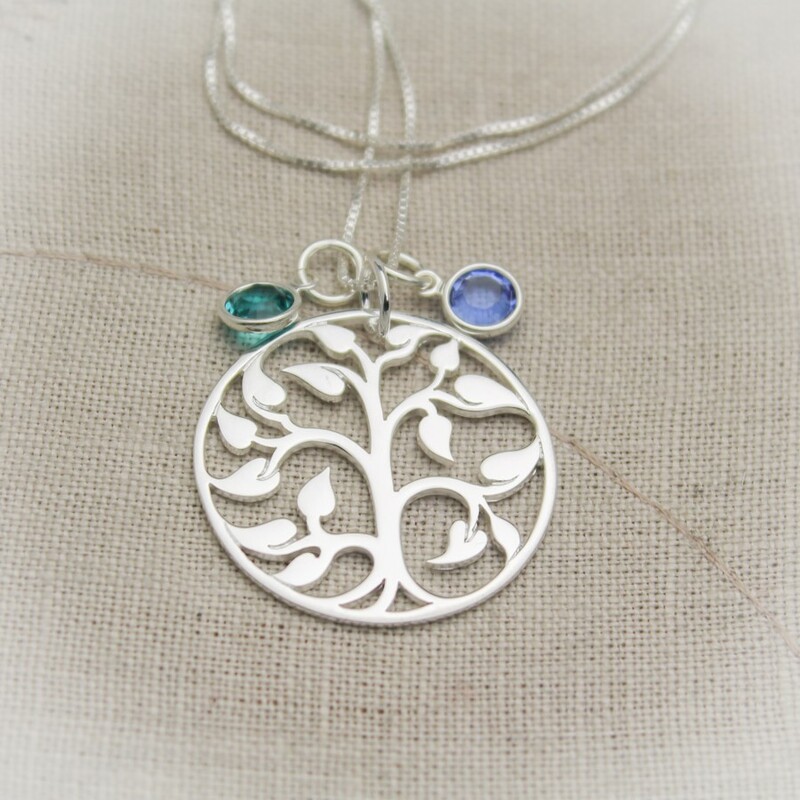 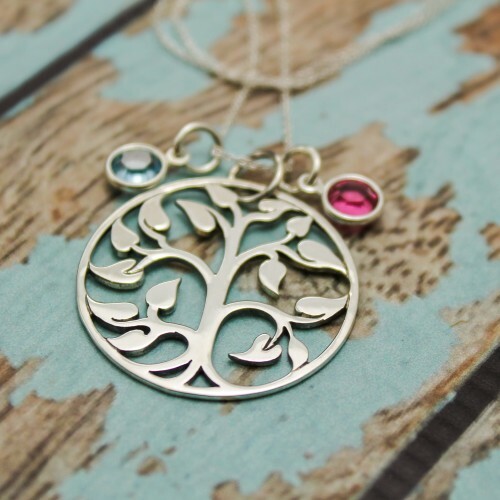 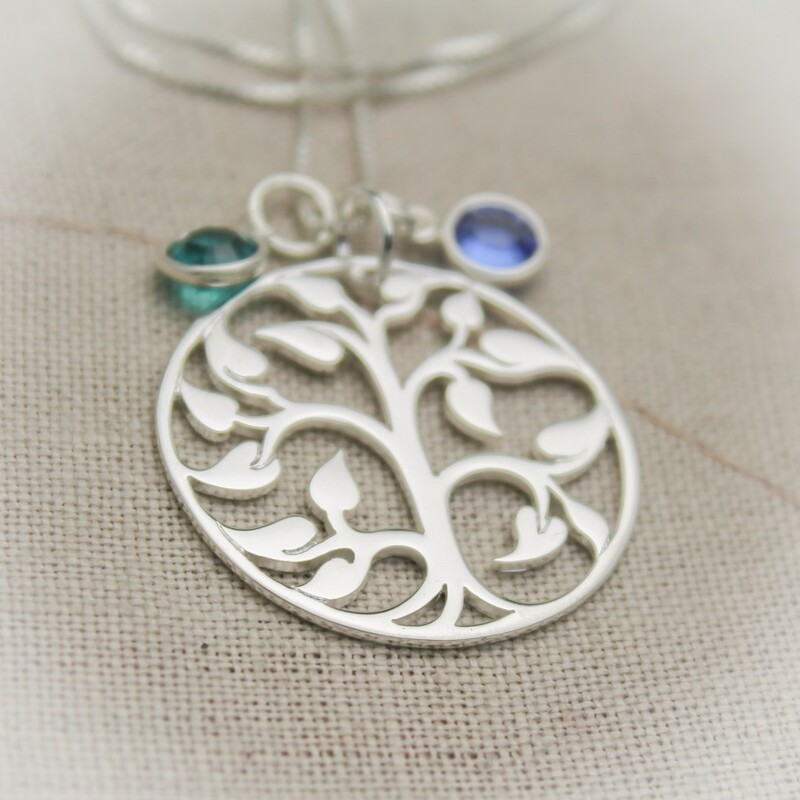 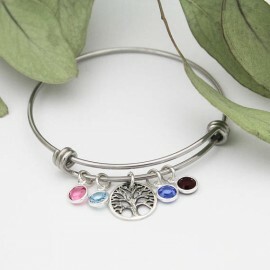 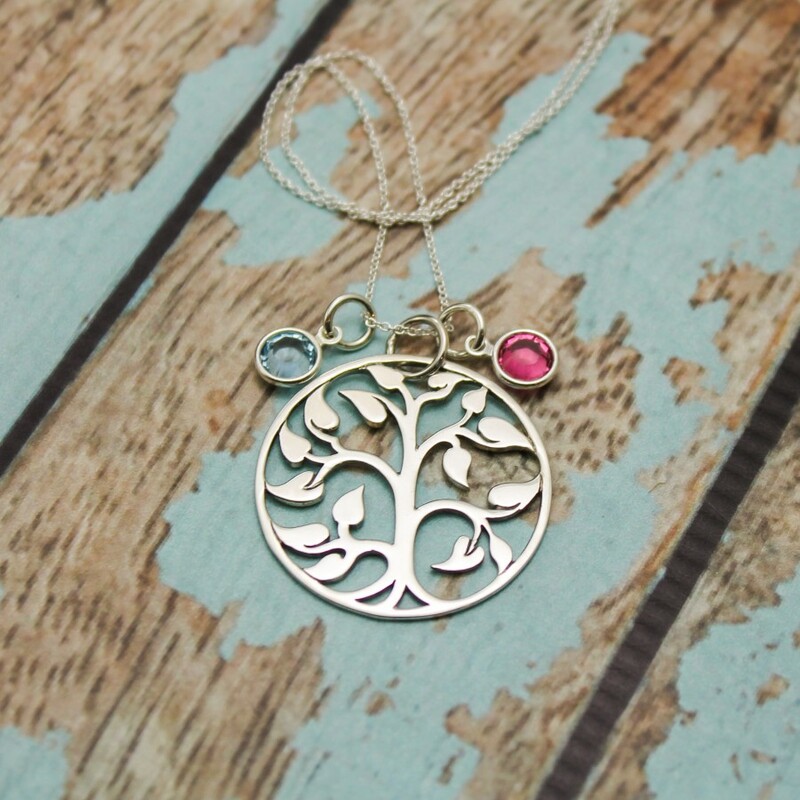 A beautiful bronze or sterling silver or sterling silver over bronze Tree of Life charm is surrounded by birthstones that represent your loved ones. 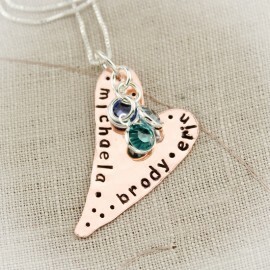 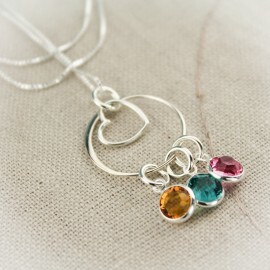 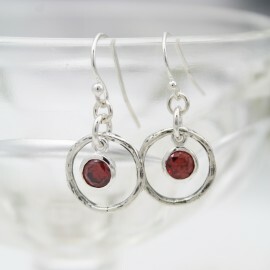 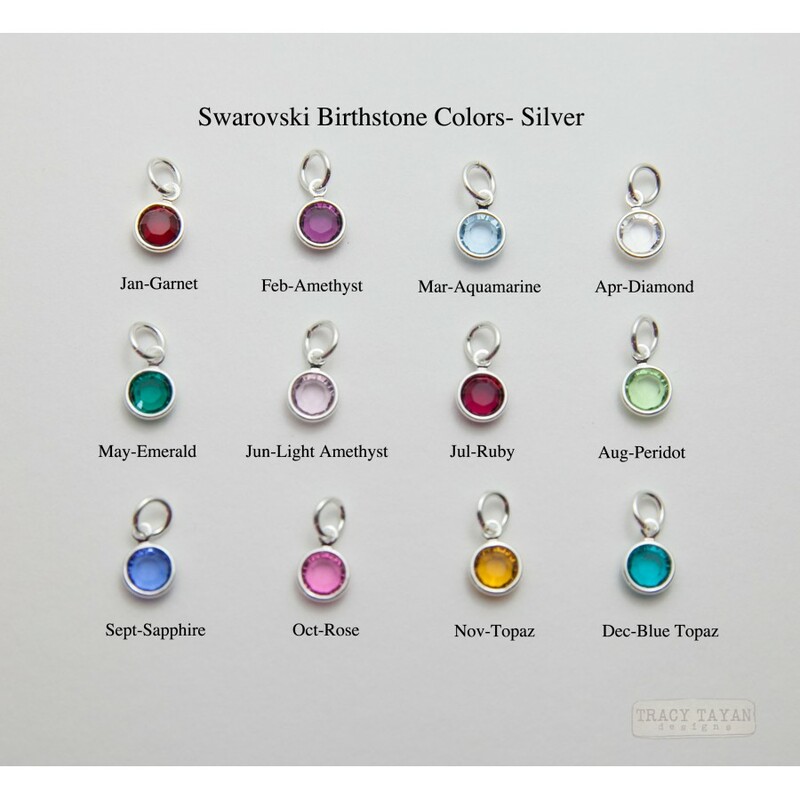 Add as many birthstones as you need for $3.00 each. 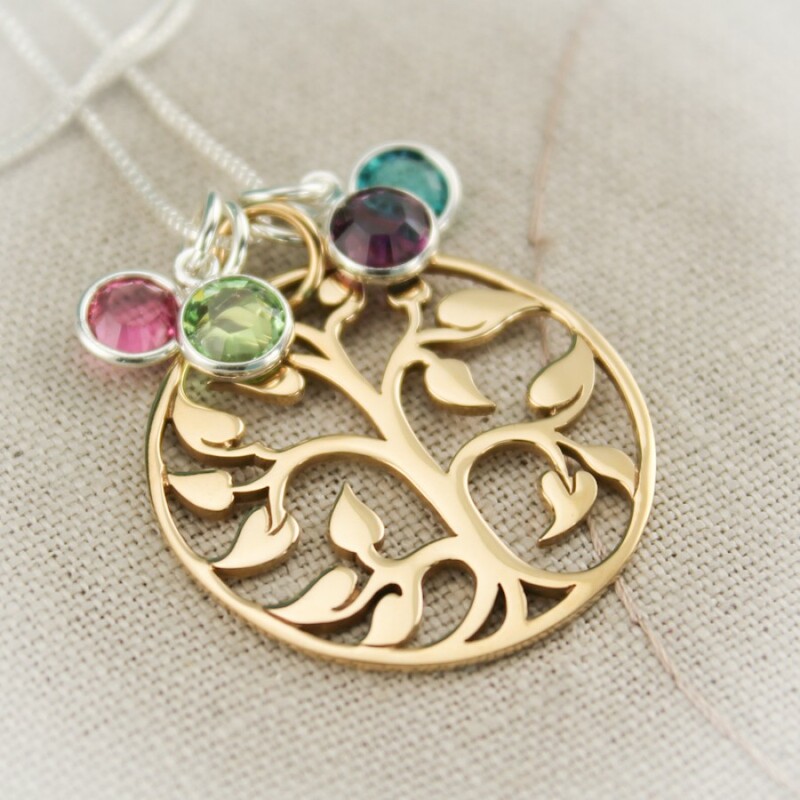 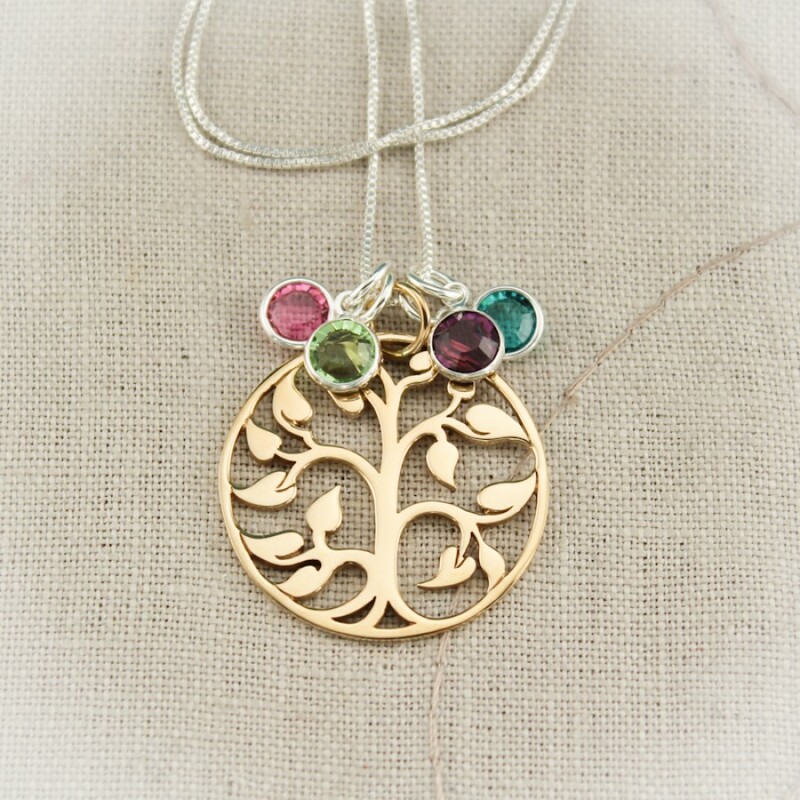 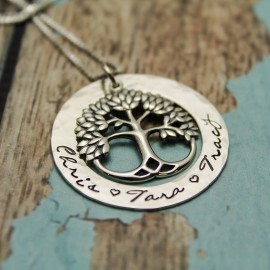 Tree of Life charm made from bronze, sterling silver or sterling silver over bronze and is approximately 1-1/4" by 1". 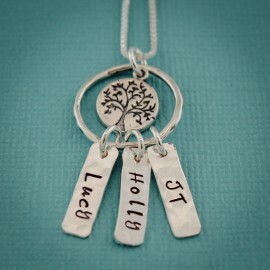 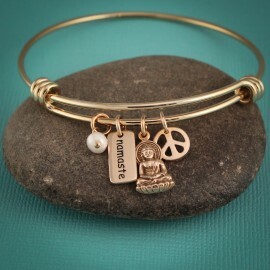 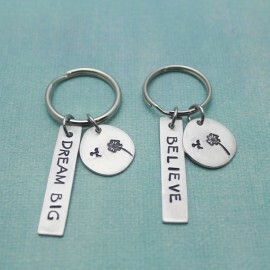 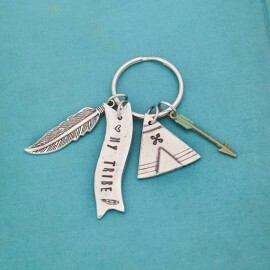 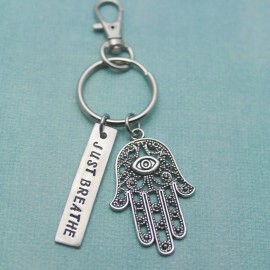 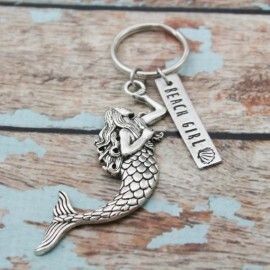 Comes with or without a chain in sterling silver or 14K gold filled in your choice of length.